There have been a large number of players asking me here and elsewhere if any items from past Treehouse events were activated to help with this event. What do they mean by this? With annual or recurring events EA has on a limited basis configured items from previous events to aid in the current event. Basically, a Halloween character, building or decoration from 2013 that once collected Goo may have collected probes, ray guns or protein strings during the event in 2014. It’s sort of a nice return investment on limited-time holiday items that are released year after year. So to answer your many questions regarding this years event, are there any old items that earn one of the 3 currencies we will ultimately see by event end? And which one’s? The answer will certainly surprise you as this years event is like none we have seen before being a super-smorgasbord of not only past THOH events but a number of other events and odd,eclectic-themed updates. Follow me beyond the pines to find out. With a resounding “Heck YES!” I unsurprisingly answer this question, that’s no surprise. What surprises me is that many items from various other updates additionally help you to further reach your prize goals. 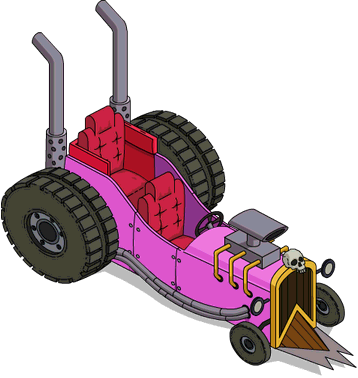 From the one and only Whacking Day event to the tiny Shadow Knight update and covering every Treehouse of Horror event a number of items now yield benefits for this event. Let’s check them out. The following items are listed in no particular order. This item has seen it’s fair share of release times and makes it return again for the 4th time during this event. Everyone will again get another chance to buy this item but those who had it from previous offerings will get the advantage of at least a week of event currency. It’s 10 points to Vanity are still in play as well. More or less the “unofficial” sidekick to the Pet and Springfield Cemeteries, the Mausoleum has been offered just as many times as the Pet Cemetery and has helped players earn more of each event’s special currency.It also is making yet another return to the store this year. It has been converted from an animated decoration to a building that generates goodies for this event. Will be offered during the current THOH 2015 but for almost double the normal price which greatly benefits those who previously purchased this item. A very surprising offering to this event is the Hollow Snake Trunk. Unlike much of the other previously offered items this item has only seen the store menu ONCE and what a long time ago that was. Reaching all of the way back to April of 2013 into the one and only Whacking Day event, the developers have pulled out this item to fit in line with the event’s theme involving snakes. It makes total sense, however it definitely was a surprise to see. Many times during a specifically themed event one or more characters will have certain tasks that yield any one of the numerous currencies an event has had. THOH 2015 is certainly no different. On a side note, I regret to inform you none of the previous full characters or NPC’s of any event contribute this year such as Booberella, Snorky, Number 51, etc. It is only a select few skins/costumes won or purchased in previous updates that have at least one task that now pays out in one of this event’s currencies. Here are the character skins and tasks. The Shadow Knight costume was probably one of the game’s most interesting additions, in my opinion as it didn’t just come from the show. It came to our game…from a game…played by the characters….in an episode…of the show. Whoa! This costume was awarded when the Shadow Knight’s Throne was purchased and placed along with a smart quest. This skin / combo is NOT being offered for the THOH 2015 event. Those who purchased it during its only release will receive the added benefit. 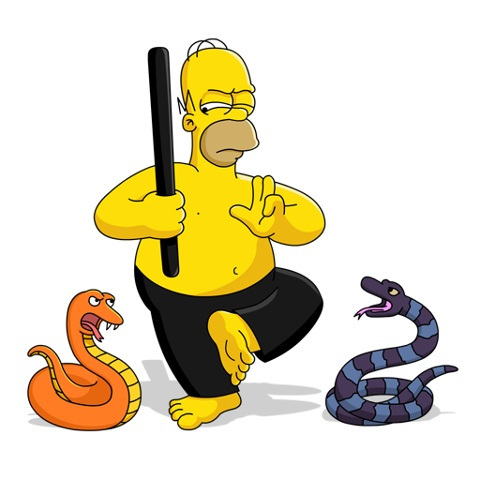 Another throwback that originated during the Whacking Day event of 2013, Ninja Homer was a premium “half of a” costume that unlocked once the Ninja Homer Practice Snake was purchased and placed. Although it is a premium outfit, it was probably the most iconic of all the Whacking Day releases and one of a very few items of that event to be released a second time. 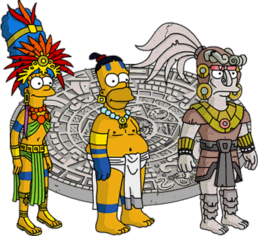 Mayan Marge made her way into the game before her time….sort of. 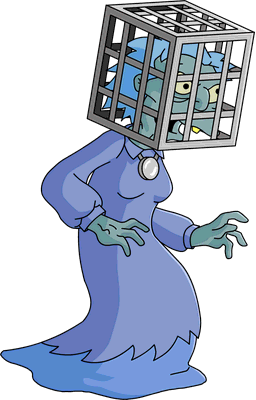 She was the subject of much speculation for a long time after the early release of Mayan Homer during the first Treehouse of Horror event in 2012. Shortly before her actual release in 2014 the image file of her was found in the files sparking off excitement and a lot more speculation. Although many assumed she would see her game introduction for the Treehouse of Horror event of 2014 she arrived a few months earlier as part of 3 different bundle packages depending on what Mayan content you already owned. 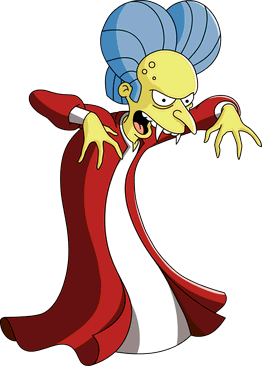 Count Burns was the 2nd skin for Springfield’s Scrooge. It was awarded once the Burns Coffin was placed and originates from one of the series earliest Halloween episodes, Treehouse of Horror IV. The costume was offered twice in the game and has one of the best visual tasks to date in which Burns transforms into a vampire bat and “strolls” around town. the snake trunk was in whacking day and won’t be released but the snake trunk will be in the shop from October 13th at 9am BST to October 27 at 8am GMT. Awesome treat for those of us who have been playing a while!! The whacking day pieces in particular were a great surprise.